The UK based sound design label Wave Alchemy has released Afro Latin Percussion Volume 1, an extensive library of percussion loops and single hits performed by percussionist Ed Uribe. As always Wave Alchemy provide a free teaser pack. 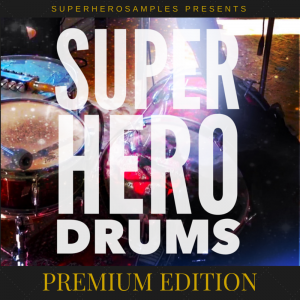 This time it contains 62 high quality afro latin percussion loops in 24 Bit, 44.1 kHz wave format. When listening through the samples I was very pleased by the warm sound of the loops and by the fact that they are not tightened. That way you can choose to keep the live feel of the loops or tighten them yourself, which shouldn’t be a problem in today’s DAWs. By the way, the commercial version comes with both untightened and tightened loops, as well as a collection of single hits. If you like to learn more about the making of Afro Latin Percussion and a little bit about afro latin grooves, read The Making of Afro-Latin Percussion on Wave Alchemy’s blog. You can download the free percussion loops on the Afro Latin Percussion Volume 1 product page. Note that you need to create a free account to download the samples which I highly recommed because this will give you access to all the other high quality Wave Alchemy teaser packs. Download the free Afro Latin Percussion Volume 1 teaser pack here. I want to download the “Free Afro Percussion Vol.1 Teaser Pack”. 1. Will it work with the Host of “Cubase”(Steinberg)? 2. is there a time limit of using? yes they will work in Cubase. As the loops are in WAV format they will work in pretty much any DAW. And you can use the loops for an unlimited time.